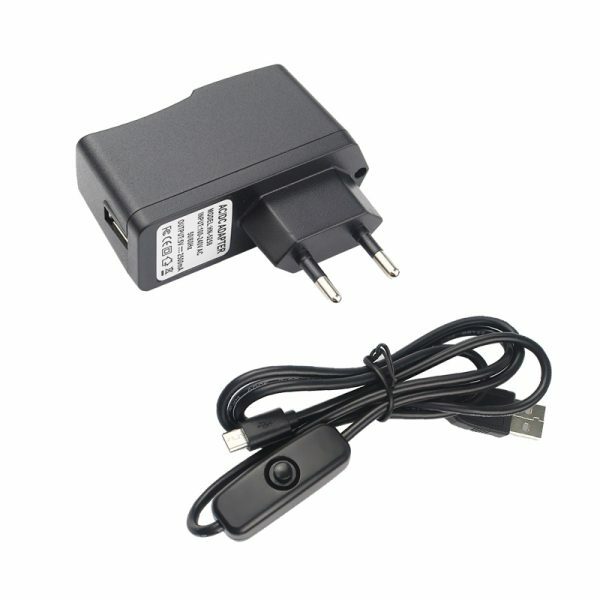 This Raspberry Pi power supply adapter provides a stable 5V 2A DC power for your Raspberry Pi. It comes with a separate MicroUSB that you can connect to the adapter. This Raspberry Pi power supply adapter provides a stable 5V 2A DC power for your Raspberry Pi. It comes with a separate MicroUSB that you can connect to the adapter. It is durable and sturdy and will offer useful service to your Raspberry Pi for a very long time.